Michelle Evans serves as an Acting Instructor at PW as well as a private Acting coach and a member of the PW College Prep team. 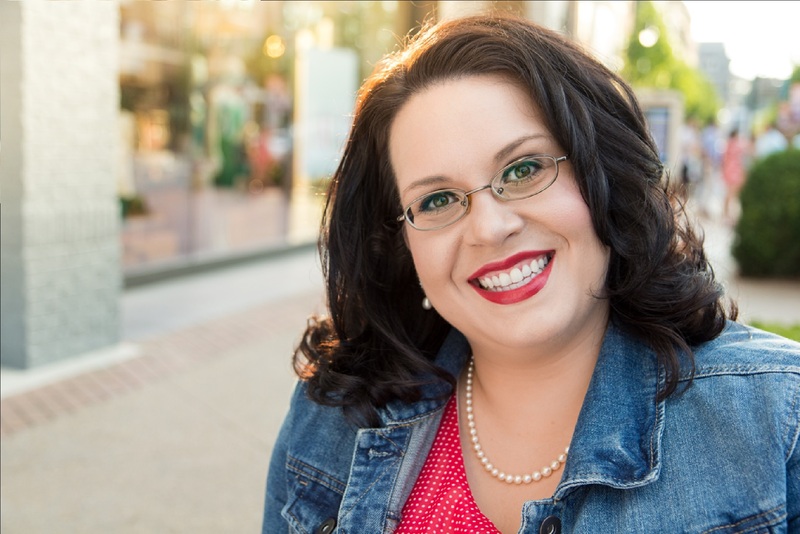 Training originally in classical voice, Michelle jumped ship in high school and devoted herself to the stage, knowing her ultimate goal was to teach and direct. She earned her Bachelor’s in Acting with an emphasis in Directing in 2004.Since then, Michelle has worked professionally as an actor, teacher, director, guest artist/adjudicator, workshop artist and scenic designer for numerous theatre companies and schools throughout New England and the Southeast. From 2004-2016, Michelle served on the staff of CYT (Christian Youth Theatre) Atlanta, as their class coordinator, camp director, acting/musical theatre instructor and director for their mainstage musicals. She also directed their annual residential teen camp, Improv team and award winning competition troupe where, under her direction, the troupes have won numerous awards at both JTF and The National Performing Arts Festival. When she is not in the classroom on in rehearsals, Michelle spends her time as an adjudicator and workshop instructor, sharing her knowledge and theatrical background with high school programs around the state. Since 2012 Michelle has been a Judge (and currently as a Shuler Committee Member) for the prestigious Georgia High School Musical Theatre Awards aka. the Shuler Awards, she has also serves as an adjudicator for Georgia’s One Act Competition and Literary Competition. Michelle is also a workshop artist for the Georgia Thespian Convention, where she shares her expertise as private acting and audition prep coach with hundreds of Georgia high school students over the course of one weekend.Michelle has also joined the writing team for Performerstuff.com and TheatreArtLife.com, where she writes monthly articles geared towards auditioning and arts training. During her professional career Michelle had has the fortune to direct and/or perform in over 70+ productions with some of her favorites being The Fantasticks, Noises Off, Hairspray, School for Wives, Arsenic and Old Lace, Three Postcards, Tarzan, Thoroughly Modern Millie and Buried Child. Her students can be found in local community and professional theatres, national tours, TV/Film and top ranking collegiate musical theatre programs. She is a member of CiTA (Christians in Theatre Arts), NYA (National Youth Arts) and EdTA (Educational Theatre Association).Michelle’s personal goal as an acting instructor is to empower her students with the tools necessary to achieve their full potential, to watch them grow and most of all to be themselves. She believes that The Performer’s Warehouse is a place not only where students receive incredible training but where the pursuit of their own unique artistic voice is not only encouraged but fostered! "I've taken acting lessons with Michelle throughout my senior year with the focus being college auditions. Not only has she trained me to be at my best when performing at auditions, she's prepared me for the audition season so that I can feel confident at any college campus. Her insight on college programs has been very useful, from helping me decide which schools to audition for to what I should expect on audition day. Additionally, I was very happy with my pre-screen videos after our filming sessions. She always knows what to say to bring out the best in my acting, and she's made monologues a lot less scary for me. I highly recommend her for private acting training, especially if college auditions are the next thing on your plate." "I had a confident student going into a year long commitment with Michelle. Once we were about 2 months in, I realized that she was confident in certain areas, but working with Michelle helped her to become a well rounded acting student. The things that Michelle tweaked were game changers for my daughter. Her help with audition pieces and the way that she was able to boost her trust in herself with monologues and different acting techniques was priceless. Michelle is open and accessible to parents and has a way of putting students at ease. Michelle was just what we needed to take our daughter to the next level. We look forward to working with her in the future." "Michelle really helped me feel prepared and ready for college auditions! Working with her each week, only during my last year before college I grew as an actor, immensely! She was a big contribution to how prepared I was going to college, and because I had that I now feel like I'm doing much better, than if i hadn't! "